A vintage name offering modern performance, your MG needs protecting from the British elements and the dirt, mud and water that they bring. Our tailored MG car mats do just this while bringing superior quality and styling to your vehicle. Cut from the original templates to guarantee a perfect fit, supplied with all fixings for easy installation, they are also fully customisable. Choose your own look with options for the thickness of rubber, quality of carpet, style and material of edge trim, and the ability to add your own custom logo. 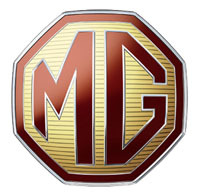 When it comes to choice, quality and style, our tailored MG car mats are the perfect choice. Order today and enjoy swift delivery straight to your door.